Welcome to the Dog Agility Blog Events blog! 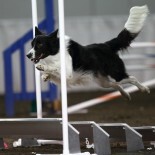 If you are a dog agility blogger please add your voice to our events and join us. This entry was posted on January 29, 2012 by mrpandmilo in If I Knew Then, Uncategorized and tagged ifiknewthen.